I finally decided to break the bank and buy this $7 bag of blueberries and nuts. That's a lot of money for a bit of trail mix. But I suppose it's worth it. 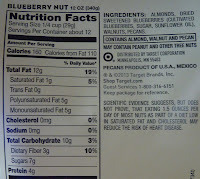 Nuts are pretty pricey as it is, and I've never had such juicy, sweet, shelf-stable blueberries in my whole life. 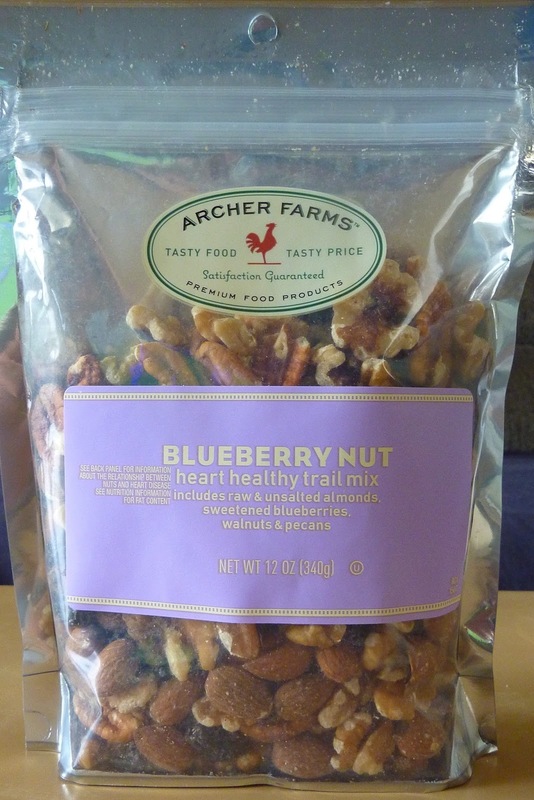 Archer Farms did add a little sugar to the berries to enhance their sweetness, but other than that, there are exactly four ingredients in this trail mix: almonds, walnuts, pecans, and blueberries. and almonds are my favorites. The blueberries are a tad shriveled, and they resemble raisins, but there's no mistaking that taste; it is distinctly blueberry. Overall, the flavor combination is great, it's full of natural energy for when you're out on the trails. And as the "heart healthy" label suggests, each ingredient is excellent for combating heart disease, not that that's something I'm worried about at this point in my life, but I guess it's never too early to start eating a little better. Other AF trail mixes are in the $5 range, which isn't cheap, but I'm still a little mystified as to why this one is yet $2 more than those. Don't get me wrong, it's a premium product. I'm just not sure I'll keep shelling out seven bones for something so relatively small. 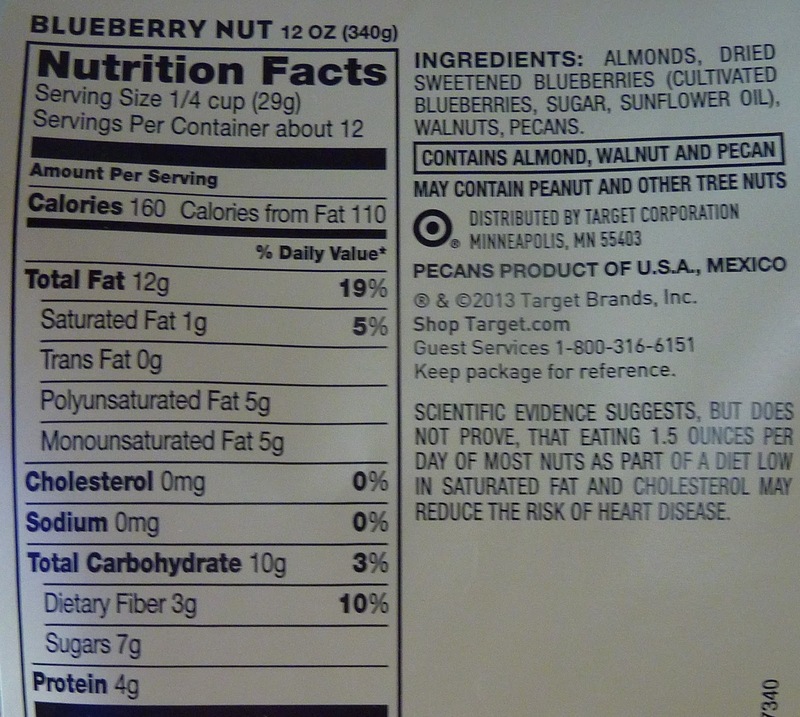 But if you like blueberries and nuts, by all means, check this one out.